Building up a family filled with harmony, happiness and togetherness has not been easy for many married couple, especially when their children are growing up real fast. 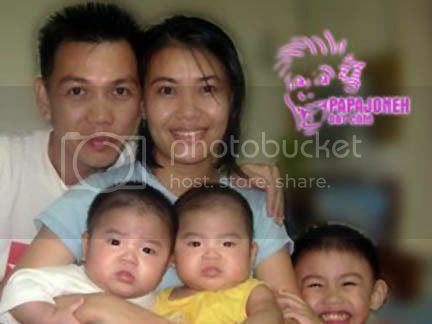 Through sheer luck or fate as I would always put it, I managed to know a wonderful couple, PapaJoneh and JPPMom who had struggled through the ups and downs of their ever hectic life to ensure that each and every single one of their children will get the best in their growing up years. 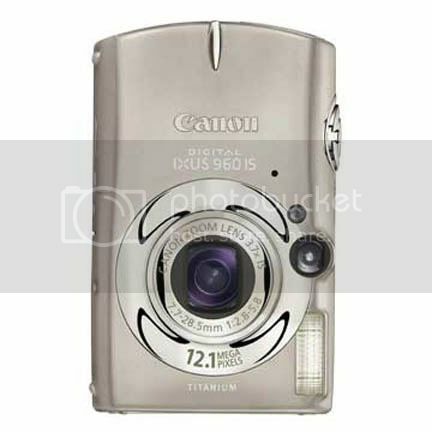 In line with Nuffnang Gift Ideas Contest, I do hope PapaJoneh and JPPMom will win a 12.1 megapixel, 3.7x optical zoom and beautifully crafted in pure space age titanium Canon Digital Ixus 960 IS to record some of the happiest growing up years of their children Josh, Presley and Preston. 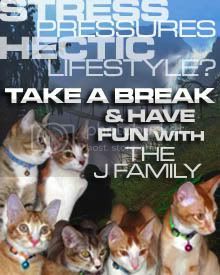 Moreover, it would be a great gift for his twins’ first birthday which will fall on the 10th August 2008. Happy 1st Birthday Presley and Preston! The contest will end on 12th August 2008 and if you are a Nuffnanger, post up what you would like to give your fellow Nuffnanger. Who knows, your fellow Nuffnanger may stand a chance to win RealMart e-vouchers to experience online shopping. Entry form can be obtained from Realmart site. 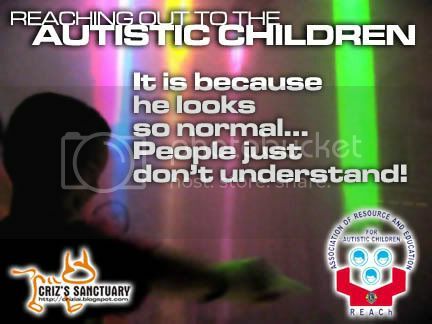 Behind every beautiful angelic face of a child, some are born autistic for causes unknown. Autism is a profound life-long mental disability in which children are so withdrawn that they have difficulty in developing normal social and emotional relationships with the people around them and in understanding the world which they live in. 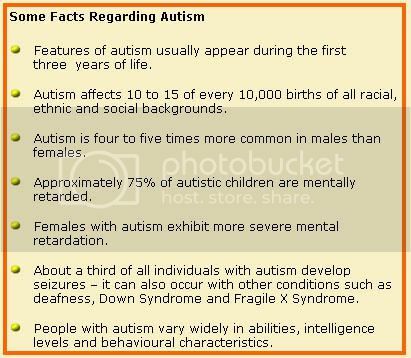 The signs or symptoms of autism generally appear during early childhood. Autistic children, if unattended, can become so withdrawn that they have difficulty in developing normal social and emotional relationships with the people around them, and in comprehending and being fully aware of their environment as a result of their mental deficiencies. Normal development of communication is inhibited and speech is delayed or developed abnormally. As a result of this failure to cope with people and situations, the child is slow in play and social interaction. 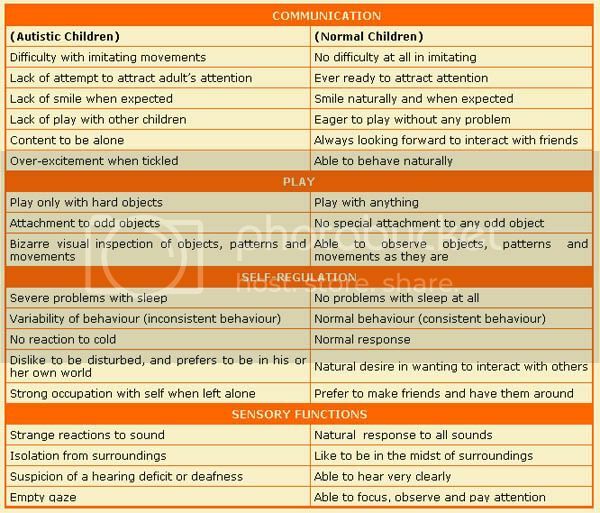 When the development of social skills is retarded, the autistic child appears to be odd in the areas of self-growth, family orientation and interaction in society. An autistic child tends to resist change and is often upset when something new is introduced to him or her. Therefore, ritualistic use of objects, odd and repetitive behaviour, and obsession with objects are usual. More often than not, the child is hyperactive and does not know when to stop. Prolonged temper tantrums and screaming fits are very common. Thanks to the Lions Community service project, dedicated volunteers, public support and Lions family throughout Malaysia that The Association of Resource and Education for Autistic Children (REACh) was able to provide FREE SERVICES to the autistic children and their families since 1987 in Penang. From a small group of four children, the Centre is now offering FREE SERVICES to more than 55 children, ranging from 5 years old to 23 years old. Another Centre in Butterworth was opened in 1998 to meet the increasing needs of the northern region in Malaysia. This has enabled the Centre to help more children to achieve their developmental milestones. With the commitment and dream to expand their services to more autistic children in the country, the Centre is requesting for donations in cash or kinds. You can sponsor a teacher program, or towards their building funds to relocate to a bigger premise to cater to their growing numbers and needs; or you could even donate educational materials and toys, musical instruments, stationeries, computers, and audio-visual materials for their daily usage. You can also contribute a sum of RM2000 (US$530) and above to support the work at the Centre annually, either by making a specific commitment to give contribution for a teacher’s salary or support the cost of maintaining and providing the services at the Centre.